Harold “Hal” Cooper, 83, West Plains, Missouri, passed away at 7:52 a.m., Friday, March 29, 2019, at Ozarks Medical Center. He was born November 1, 1935, in Cleveland, Ohio, to Harold K. Cooper, Sr. and Ruth Pauline Heerbrandt Cooper. Hal grew up in the Lakewood and Berea areas. In 1954, he enlisted in the United States Army and served two years in Germany. He married Della Genson and to their union a son, Brett A. Cooper, was born. Hal later moved to West Plains and on July 18, 1992, he married Donna Lindeman Williams of West Plains. Over the years, Hal worked in real estate, sold janitorial supplies to surrounding schools and published a small weekly paper, TV Times. He loved fishing, camping, gardening and metal detecting. Mr. Cooper was the Central Chapter President of the Federation of Metal Detector and Archaeological Clubs Inc. for several years. He loved his family, his wife of 26 years and especially his son and two granddaughters. 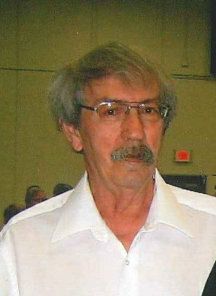 He is survived by his wife, Donna Cooper, of the family home; one son, Brett Cooper; two granddaughters, Alanna and Andra Cooper, all of New Jersey; step-children, Patricia Lentz and husband, Bennie, Bay, Arkansas and Michael Williams, West Plains; two step-grandchildren, Brittany Bergman, State of South Carolina and Ian Bergman and wife, Kayla, West Plains; and brother-in-law, Larry Lindeman and wife, Sherry, West Plains. His parents, father-in-law, Raymond Lindeman and mother-in-law, Evelyn Lindeman, preceded him in death. No services are planned at this time. In lieu of flowers, memorial contributions may be made to Fair Haven Children’s Home and may be left at Robertson-Drago Funeral Home. Donna, I am so sorry for your loss! I just now saw this. You are certainly in my thoughts and prayers, my friend! Our deepest sympathy to you and your family upon the loss of Hal. You and your family will be in our daily thoughts and prayers. May God comfort, encourage, and support each one of you thru this difficult time. May God bless each one of you. So sorry for your loss I will always remember the tall man who always singled me out at the picnic & gave me a hard time. He was a character & that smirk meant he was up to something. Know you are in my thoughts.